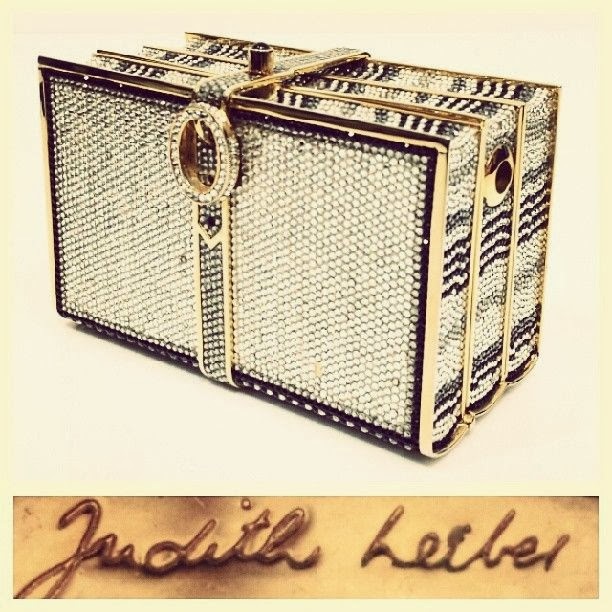 Judith Leiber is known for her crystal covered handbags that come in whimsical shapes. 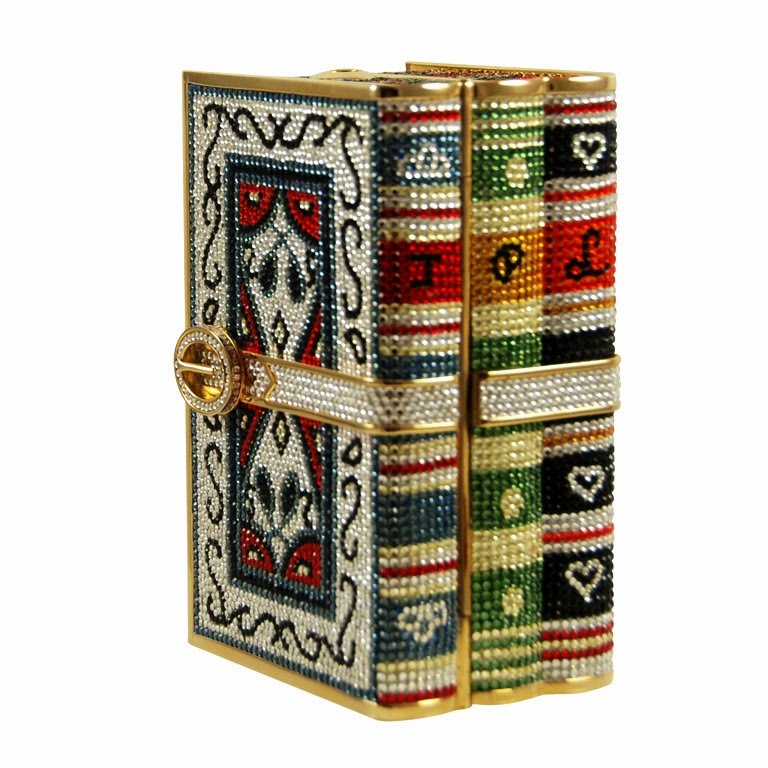 I do love a fun handbag and book inspired clutches are among my favorites. 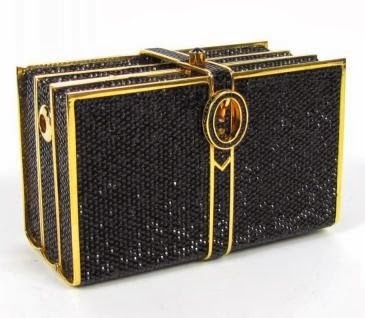 These Judith Leiber book inspired clutches are fabulous to look at, but more than pricey, even on the secondhand market. 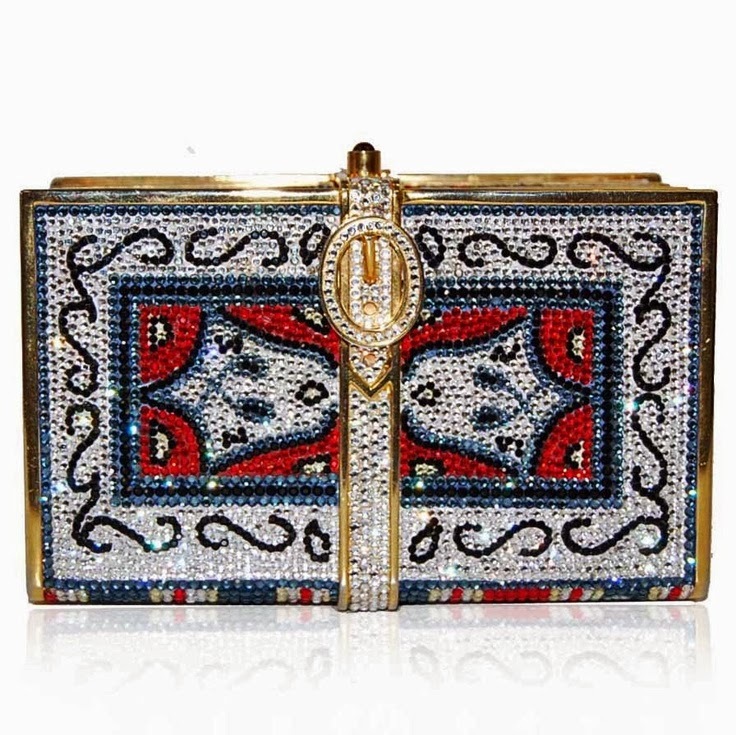 The designs are fun though, especially the bag above. So colorful and detailed. 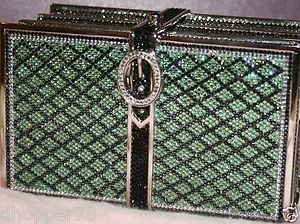 You can see a bigger photo of the side of the bag directly below.